The thing Kelly was most excited to see in Glacier was Going to the Sun Road. I didn't understand the excitement. Then we drove the road and I understood. From rushing mountain rivers to gorgeous vistas, it's just amazing. The road connects the West Side of Glacier (think Kalispell, Whitefish, Lake McDonald) with the East Side of Glacier (think St. Mary, Lake Sherburne). It runs through Logan Pass at its highest point with stunning views of Mount Oberlin and other Rockies. Waterfalls tumble along it, including Alder Falls. There are tons of hikes you can do along Going to the Sun Road (including Avalanche Lake). If you're driving out the road from the west side (where most of the hotels, rentals, etc are located), a great destination for a hike is St. Mary Lake. Right before you get there, nearly at the end of the road, there are parking lots on your right at the St. Mary Falls Trailhead (about 10 miles west of the St. Mary Entrance station). This is a great destination to get out and explore if you've been spending the day driving. St. Mary's Falls is just over 1/2 mile in on your hike and Virginia Falls is another mile past that. 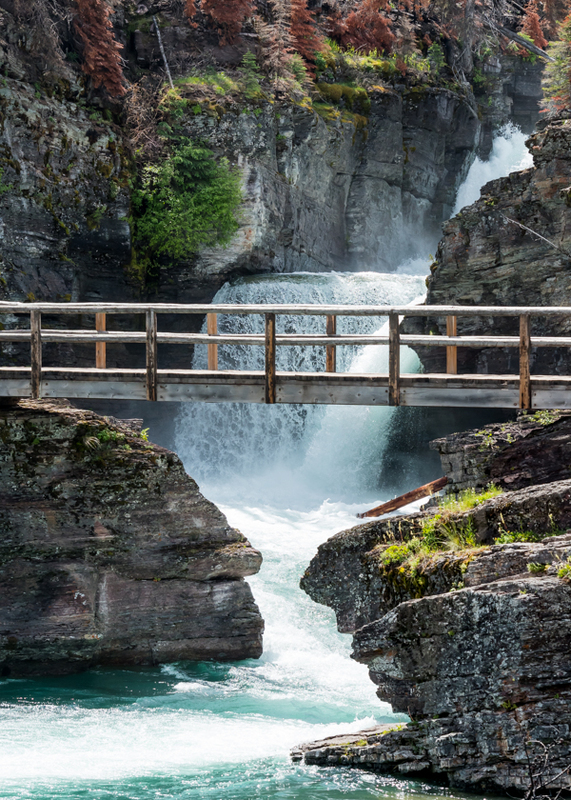 You can see both impressive falls in an easy-to-moderate day hike. Both falls are large, multi-tiered, and gorgeous. If you walk just a bit past the viewing point to Virginia Falls, you can get right underneath it. We attempted to get some shots of me standing under the falls and I gotta admit that I had a huge wipe out on the slick rock under the falls, bruising my pride and my backside. It was worth both. Total Distance: 3.4 Miles with a total elevation gain of ~700 feet (you'll drop en route to St. Mary's Falls and then gain from St. Mary's to Virginia Falls). Pro Tip: After the Virginia Falls viewing point, take the trail to the right to up closer to it. Standing so near a powerful waterfall is a truly immersive experience. But consider yourself forewarned, the rocks underneath the falls are slippery! 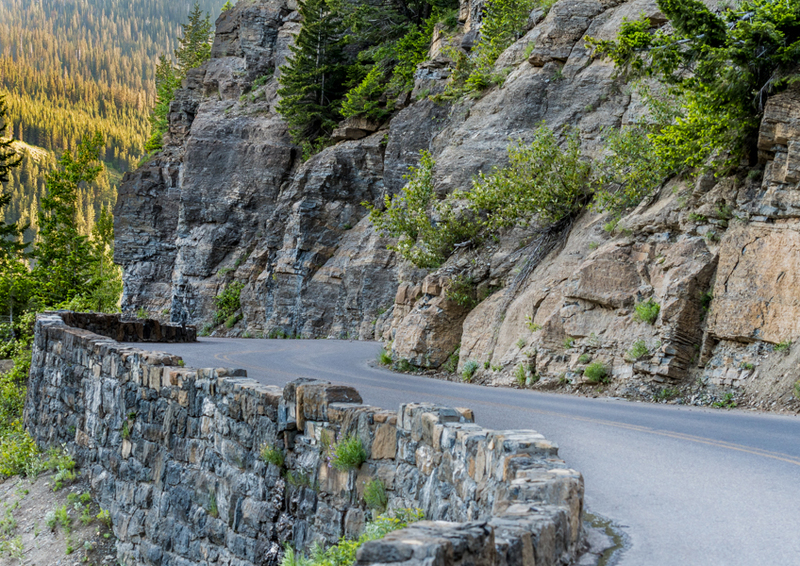 The fact that Going to the Sun Road is able to be maintained is a remarkable feat. It takes months to clear the snow from it each year. Check out the curves on it at the higher elevations near Logan Pass!